Songs of the Islands was made in New York City in 1996 when I noticed the quantity of discarded, loose audio cassette tape tangled in gutters, subway grills and traffic islands, and decided to start collecting it. The collection took several months and yielded tape fragments with all sorts of music, including rap, Vietnamese pop music, heavy metal, reggae, traditional Indian music and salsa. There were also non-musical discoveries, such as an episode of “All in the Family” recorded ambiently in a room with a bird chirping, and outtakes from a radio journalist’s interview with a psychic. In their stylistic variety and linguistic diversity, these soundtracks describe the astounding mix of people living in New York. Nina Katchadourian (Brooklyn, New York) was born in Stanford, California and grew up spending every summer on a small island in the Finnish archipelago, where she still spends part of each year. Her work exists in a wide variety of media including photography, sculpture, video and sound. Her work has been exhibited domestically and internationally at places such as MoMA PS1, the Serpentine Gallery, Saatchi Gallery, Turner Contemporary, De Appel, SculptureCenter, and the Palais de Tokyo. In June 2006 the Tang Museum in Saratoga Springs exhibited a 10-year survey of her work and published an accompanying monograph entitled “All Forms of Attraction.” The Museum of Contemporary Art San Diego presented a solo show of video installation works in July 2008. In February 2010 she was the artist in residence at the Dunedin Public Art Gallery in Dunedin, New Zealand, where she had a solo show entitled “Seat Assignment.” In April 2013, the monograph “Sorted Books” was published by Chronicle Books on the 20-year anniversary of Katchadourian’s “Sorted Books” project. Katchadourian’s work is included in the 2015 Venice Biennale and she is currently working with MoMA as part of their “Artist Experiments” program. In 2017 her work is the focus of a solo museum show which originates at the Blanton Museum in Austin, TX, and then travels. 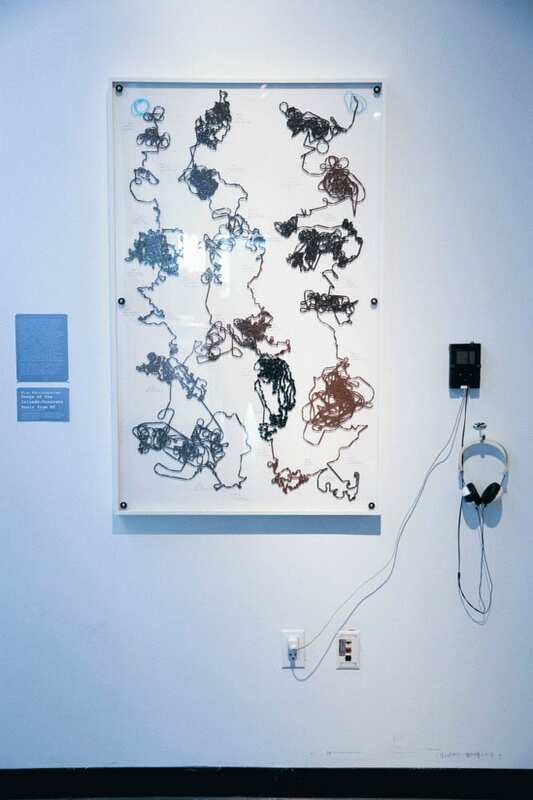 Nina Katchadourian is an Associate Professor at the NYU Gallatin School of Individualized Study and she is represented by Catharine Clark gallery in San Francisco.